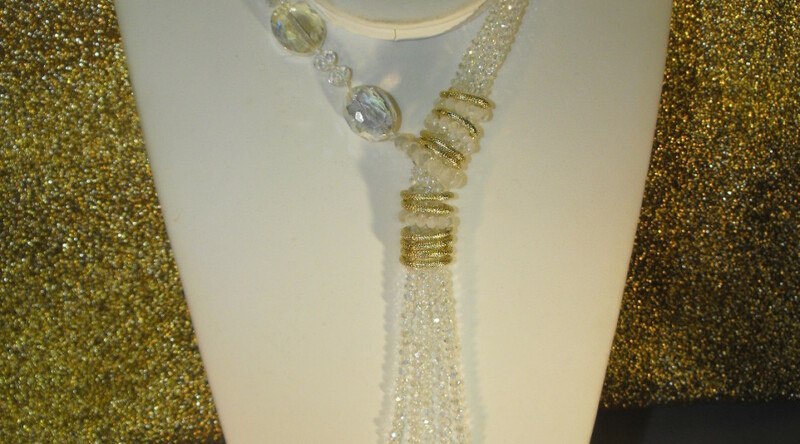 As a result, we have a beautiful bridal necklace consisting of 5 strands of white & clear faceted crystals and one strand of large oval faceted Aurora Borealis crystals all accented with gold twine. 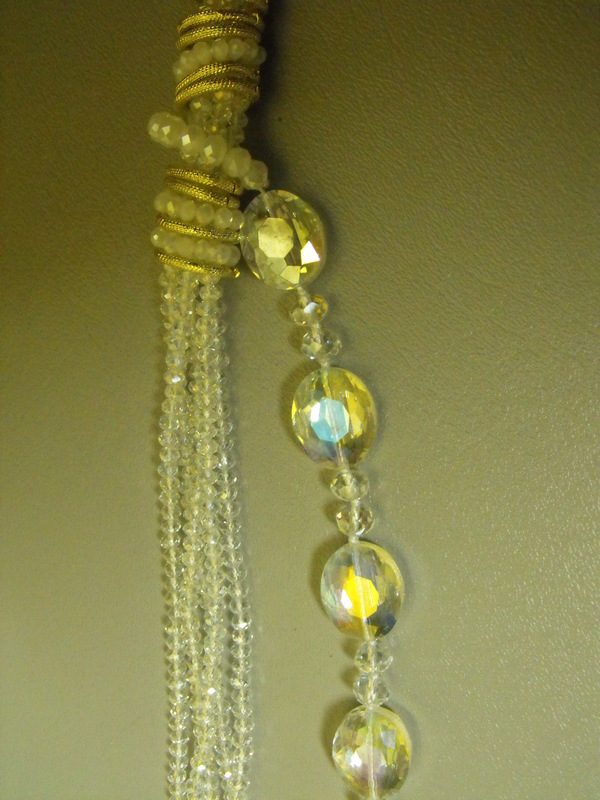 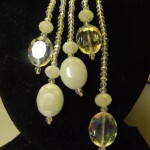 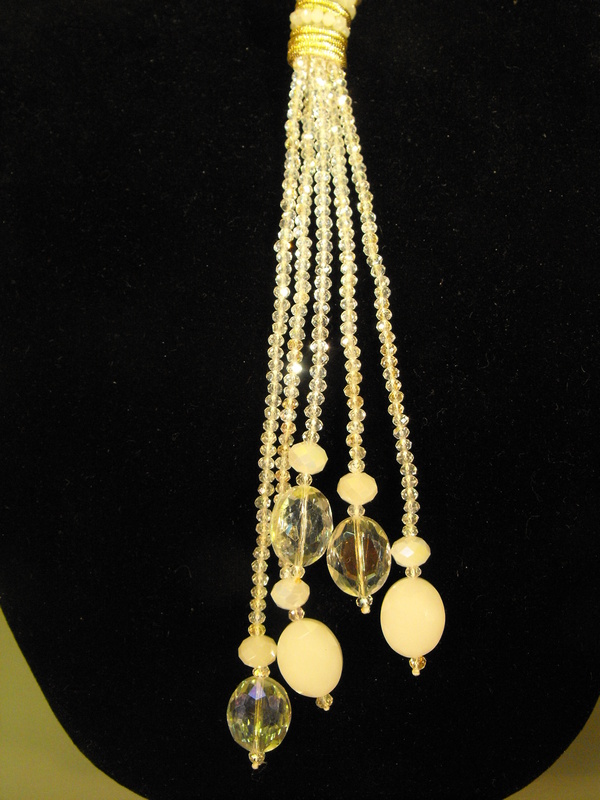 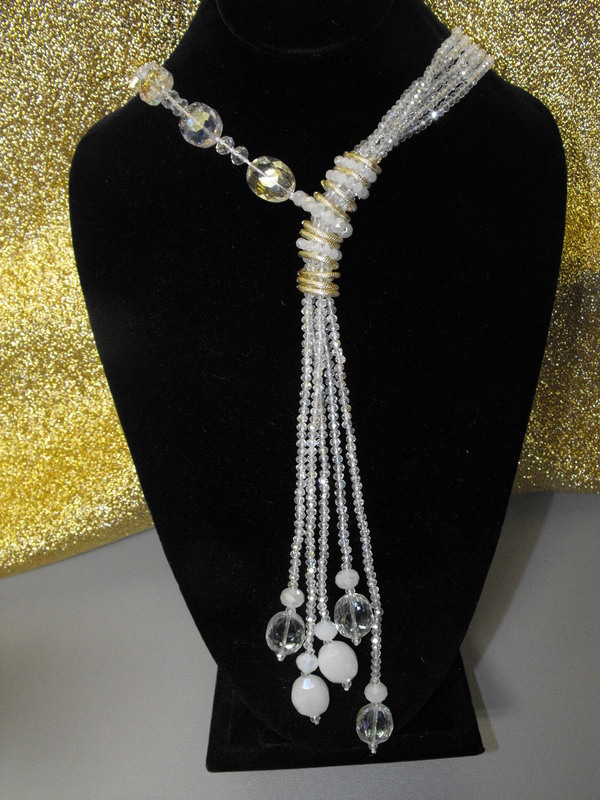 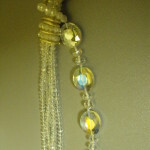 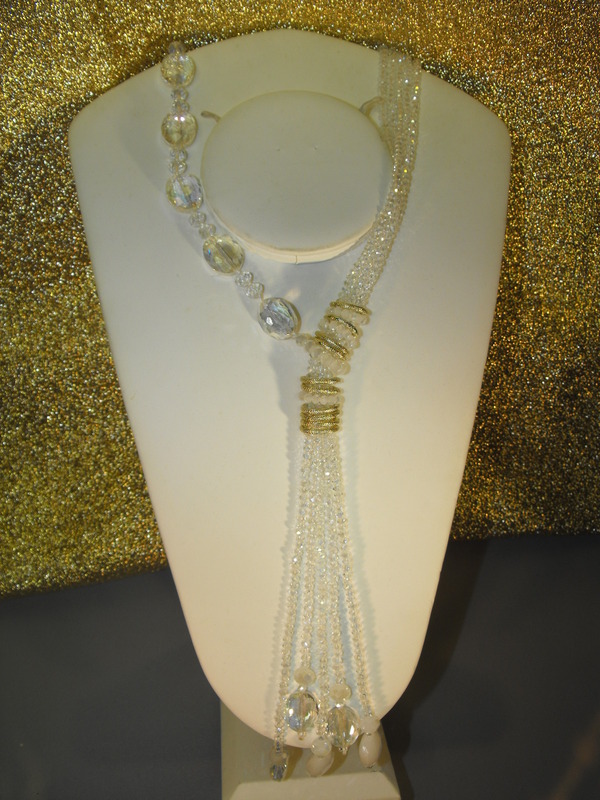 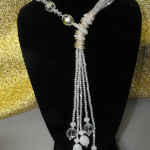 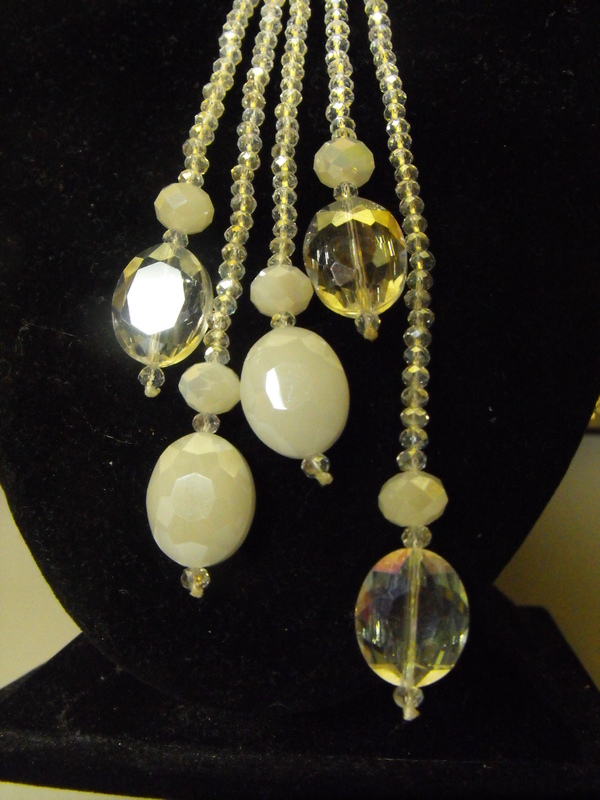 This lariat style necklace measures 19″ from top to bottom. 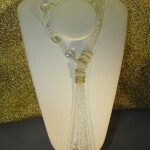 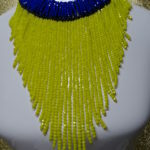 So….what a statement you will make shimmering, sparkling, and dazzling him as you walk down the isle.